Prices include ONE free touchup scheduled in advance to be COMPLETED WITHIN 90 DAYS of your initial procedure for new work only. Does NOT include re-do's. A second touch up within the first year of the original procedure is $75 per area - NO EXCEPTIONS. After one year each touchup is $150-$225 per area with a $75 touchup within two months. Pricing information is for new work only and/or for clients who have initially paid full price. 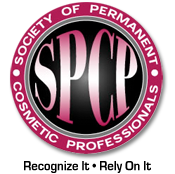 Separate pricing will apply for redos/corrections of previous work from other permanent makeup providers.